At Coro we believe chocolate should be a fun and sharing experience. We don’t claim to be master chocolatiers, in fact its quite the opposite. Our aim is to give customers their chocolate fix but not just from your standard bar of chocolate. 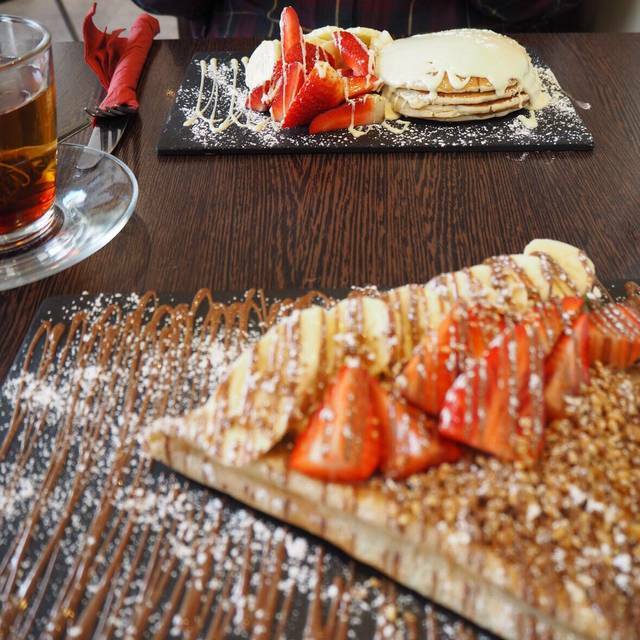 We pour our chocolate over freshly made pancakes, into our buttery crepes and drizzled onto of our fluffy waffles. 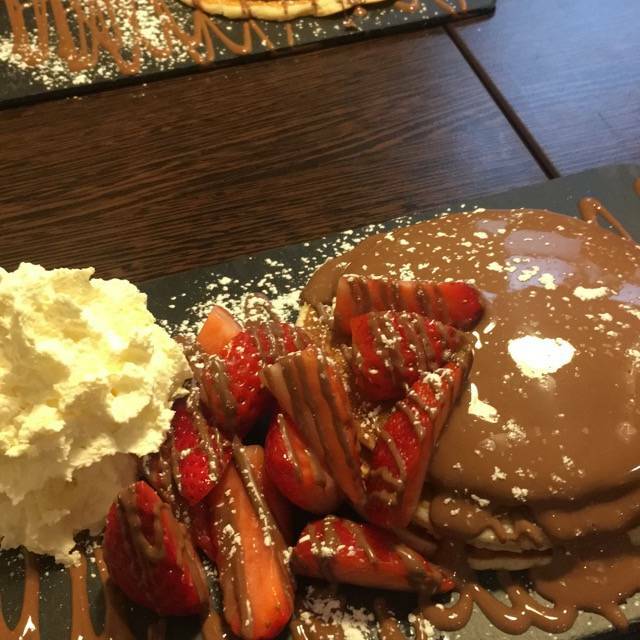 If thats not enough we’ll give you a fondue to dunk some fresh fruit, cake or sweets into melted chocolate with a hot chocolate like no other to wash it all down. Add cream or marshmallows for £0.50!. Add both for £0.80! 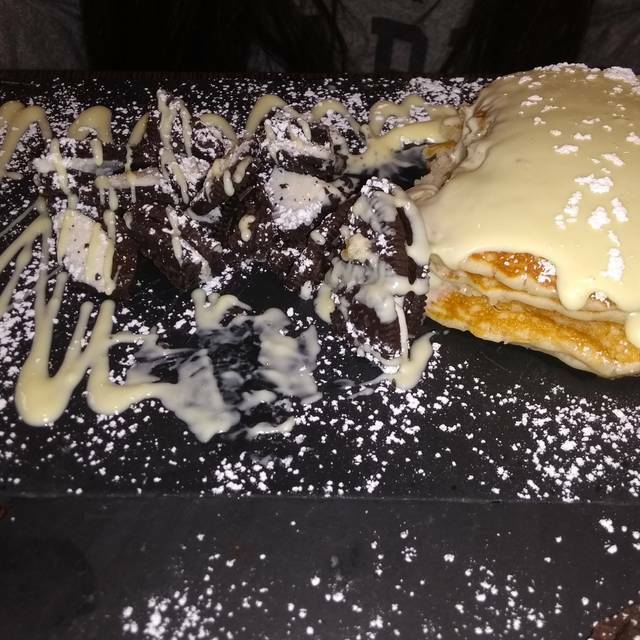 It's great place when you want something sweet. I mean really sweet😉. I love to go there now and then but this is not place for everyday meals. 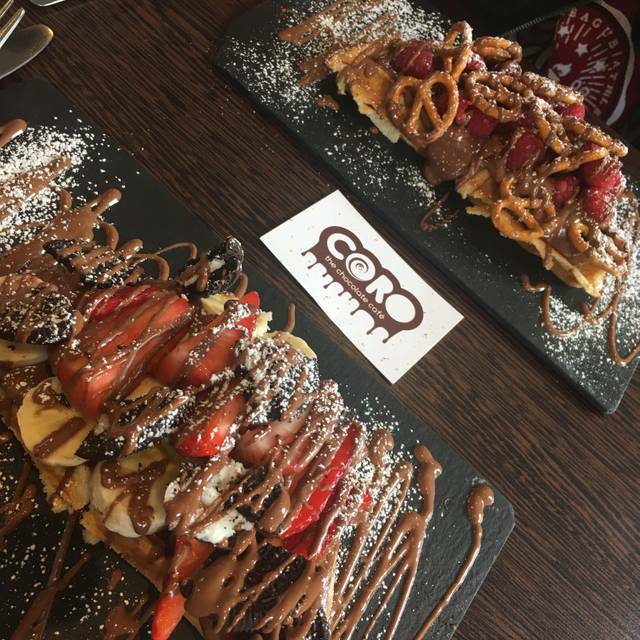 Coro desserts are outstanding. Been a few times now & never leave disappointed. 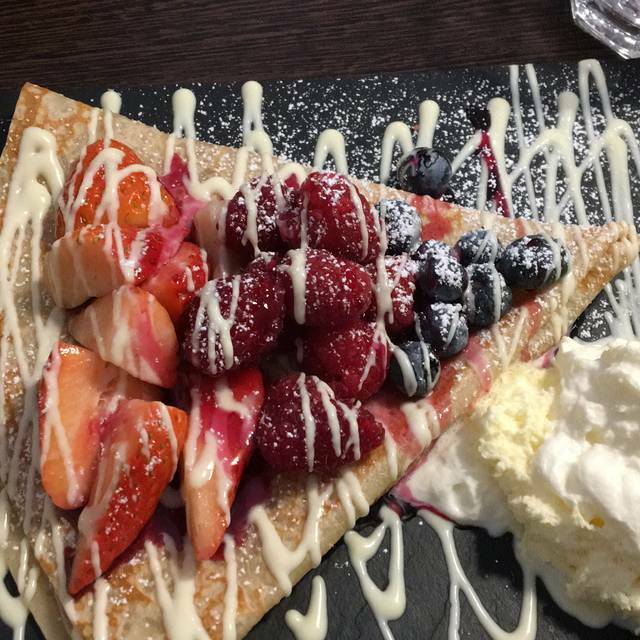 Have had savoury crepe, sweet pancakes & chocolate fondue-all were fantastic! Service very efficient & quick delivery with food. Staff happy to help & cater for your needs. Definitely recommend-definitely be back for more delicious treats! Ladies toilets was out of order so had to use the mens. This would have been ok but had water all over the floor and toilet bowl was dirty. 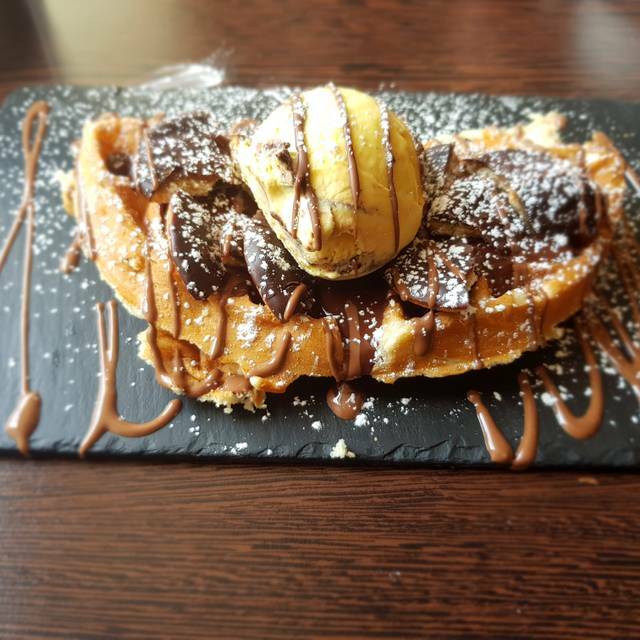 Food was great, service was slow for us but without us making any fuss it was noted by the staff who sorted it quickly and were very open and honest! I had originally booked a table for 7pm which I then modified to 7.30pm and got a confirmation email to confirm. Turned up at the Coro and there were no seats and was told my booking change hadn’t been registered so we had to wait 15 minutes for a table. Five of us were then squeezed around a 4 person table. It was just as well that I didn’t get food or there would not have been enough room. The waitress who greeted us looked a bit exasperated and not exactly welcoming. We are students so came to do some work after food, we ordered pancakes each and then once finished proceeded to get laptop out but as soon as our food was taken away a girl was over wiping table down whilst we sat there and a boy ran over with the bill even though we were considering more drinks and possible share a fondue so we got laptops out, done our work and left feeling they wanted the table free when they could have had more orders from us which is a shame! I really enjoy Coro cafe and like all the products, however this time I was not satisfied with the service provided. As soon as we finished with our food, we have been given receipts and asked to pay as there were other bookings on the table later on. 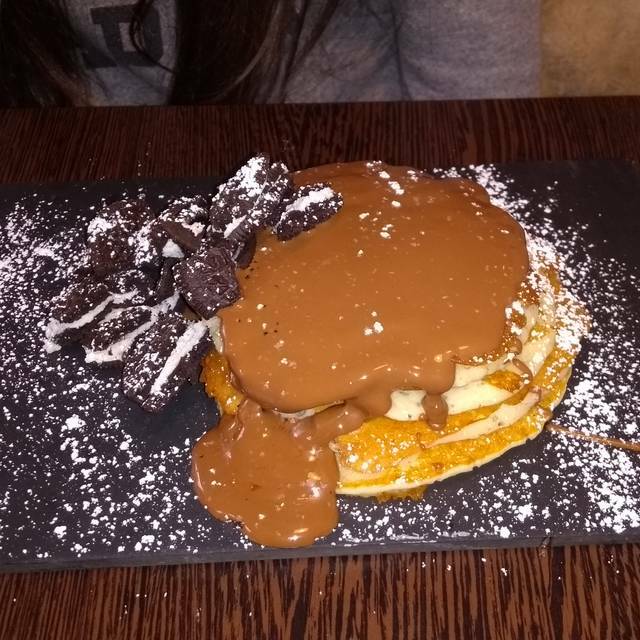 Appreciate it was Pancake Tuesday and cafe was busy, but surely this could have been done in a more professional way, plus I have not been informed at the time of booking that I can use the table for a limited amount of time. Perhaps this should have been announced im advance to avoid disappointment. Toilets are shabby!! Place maybe needs a wee spruce! Food delicious though. Would be nice to see a kiddie menu? Food was amazing as always, staff were honestly quite rude and kept coming over to watch us eat, basically trying to get my friends and I to leave. We put our cutlery down for a minute and the waitress had already started taking the food away, not even giving us a minute or asking if we wanted our remaining food boxed up. Felt quite rushed like they wanted us out of there.. Shame cause it put us all off returning again. Sadly we were sat right next to the bin where glass bottles were dumped making it impossible to carry on a conversation. One sympathetic waitress did place them in so they didn’t crash. Great service and lovely staff. The toilets could do with some investment. Yes, delicious food, fun atmosphere and fab service from the young team!! The fact that they told me my booking was not valid kinda soured the whole experience and the nippy waitress did not help either. Very good but quite pricey food for what it is. But the food is very good. We arrived for my Mothers 80th Birthday party. After 15 minutes of being ignored I asked for menus and was told there was some at the front desk! I got the menus and we ordered shortly afterwards. As a party of 9, seven dishes and 9 drinks duly arrived. After waiting another 10 minutes I asked where the remaining dishes were. After a lot of faffing about and rechecking the order ( on an ipad, not a piece of paper so there was no excuses). The two remaining dishes (one of them being my mothers) eventually arrived but by that time, everyone else was finished. We complained at the time and the server took off the two dishes. However, it still spoiled what should have been a lovely celebration. The best cafe in the city. It was lovely of them to leave a happy birthday message and crayons for my little niece on our table. It was very busy so thank goodness I made a booking. Malteaser cheesecake was delish and would recommend it. My daughter & I both enjoyed Coro as it was recommended by a friend. Only disappointing thing was the lack of Gluten free choice, I love brownies but it was a small brownie which was nice but I had to pay an extra £2.60 for ice-cream & cream to be added. I’d rather it came as a compleat dish which I’d happily pay for. Brownie would also be better warm. My daughter had the pizza & chips which she totally loved! I’d defiantly return to Coro, maybe next time I’ll try the fruit founde. The staff were very busy & worked efficiently & politely place was clean even though it was heaving. Only other thing was they had the air con blasting away so it made the venue very chilli & had to wrap my jacket over my knees. Took my 14 year old son as a treat and it didn’t disappoint! It was delicious we both loved our selections!!! My daughter and I really loved the fondue when we visited, and the milkshakes are yummy too! We will definitely be back! Service was good and menu great for kids, or those not on the January detox ... lots of chocolate. The online menu is out of date - they no longer serve soup, sandwiches or healthy smoothies for lunch or if you are looking for something a bit healthier which is a shame. SO good. 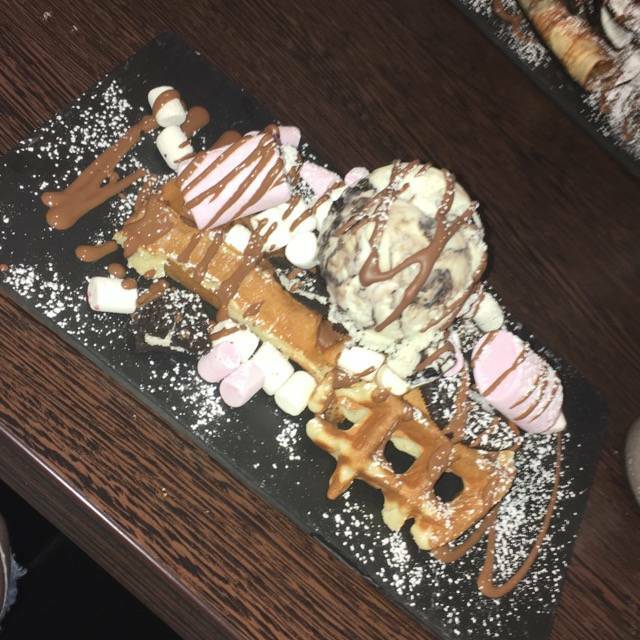 I googled “best dessert in Edinburgh” and found this place. GLAD I DId!! Chocolate fondue was lovely, nice quality chocolate and things to dip. Kids loved it. Really good and a nice touch with a Happy Birthday written in chocolate on a slate waiting at the table. 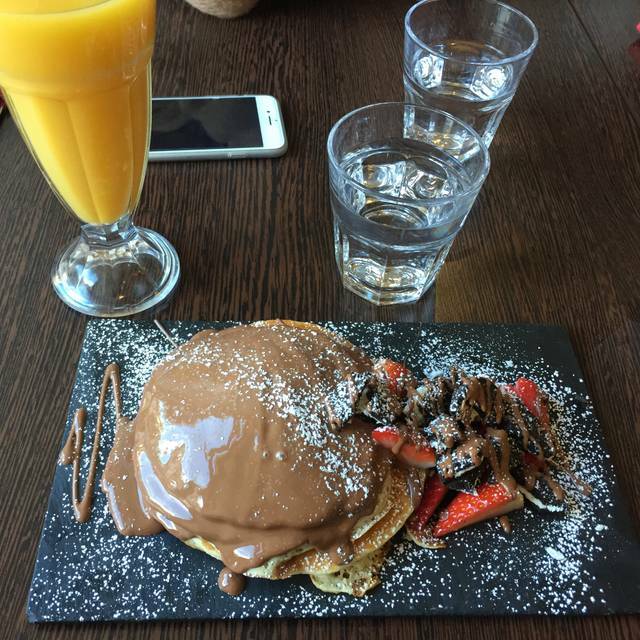 Huge portions would definitely recommend for chocolate lovers. Shame they didn’t remember that we mentioned it was for our daughter’s birthday when we booked. Also disappointing to sit beside cold draught from front door considering we had booked a table. We had the make your own crepes, strawberries, bananas and filled with nutella 😁👌 delicious! Luckily we had a table booked which was just as well as it was really busy. However having a table booked didn't stop my friend who arrived first, from standing waiting with several staff members walking past without a single one asking if some one was tending to her. She waited for a good few minutes before she managed to grab someone. Once we all arrived and were given menus we waited a good 10/15 minutes before anyone came to take our order, in fact we had to ask them to come over. The food arrived fairly quickly, well 2 out of 4 meals, which actually arrived before out drinks. We then waited another 5 minutes until the drinks then finally the other 2 meals arrived. The poor service is a real shame because the food was actually really nice. I would probably recommend this place to friends as the food is good but will make it clear not to expect great service. I was hesitant about going at first as there were many reviews about the food being good but that the staff were rude. I took the family for a birthday treat and the service was lovely. They were rushed off their feet as it was a very busy sat afternoon but they were still polite and lovely with the kids. Bathroom wasn’t great but that was down to another client putting toilet paper in the sink!